The Yellow-footed Rock-wallaby is one of the most colourful members of the kangaroo family! 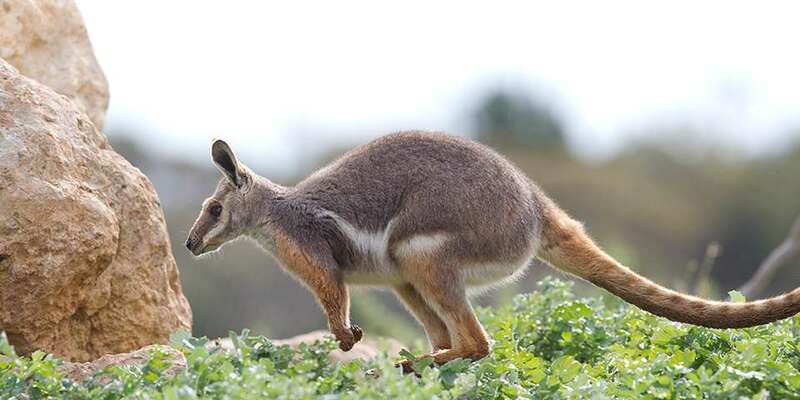 Myrtle is the self-proclaimed queen of the Monarto Zoo Yellow-footed Rock-wallaby mob. She was born at the zoo on 28 December 2011 and hand-reared by zoo keepers. She lives in the Wallaby Gorge walk-through habitat with three other wallabies. She reins over the habitat keeping the other wallabies in line, but is also very friendly and loves to greet zoo keepers each morning. All of our wallabies absolutely love corn which they get hand fed to them each morning by zoo keepers. Myrtle is always first down to get her piece, which then allows zoo keepers to get a nice close look at the wallabies each day to make sure they stay in top condition. The Yellow-footed Rock-wallaby inhabits rocky outcrops and caves in semi-arid country. They were once found throughout the Flinders Ranges, extending through north-west New South Wales and south-west Queensland in the Grey Ranges. They are now restricted to a range of approximately 1,000 square kilometres. In South Australia the population is estimated to be around 2,000 individuals, while in New South Wales there are as few as 20 to 250 animals remaining. Yellow-footed Rock-wallabies are one of the most colourful members of the kangaroo family and the largest of the rock wallabies. They will drink water if available, but can survive for much of the year without water by obtaining it from their food. They’re usually best seen in the early morning or late afternoon basking on rocky ledges in the sun. 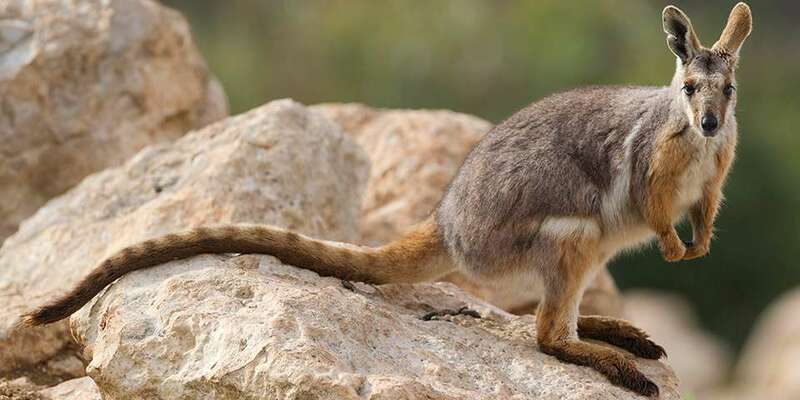 The Yellow-footed Rock-wallaby was subject to intensive hunting in the past which had a major impact on population numbers, particularly in the Flinders Rangers. Habitat destruction is still currently a threat to wild populations due to grazing by domestic stock and feral herbivores such as goats and rabbits. Predation by foxes and feral cats is also an issue for the species. The Yellow-footed Rock-wallaby has played a pivotal role in a highly-successful wallaby cross-foster program. Under this program a critically endangered Victorian Brush-tailed Rock-wallaby joey is removed from its mother and fostered by a Yellow-footed Rock-wallaby. 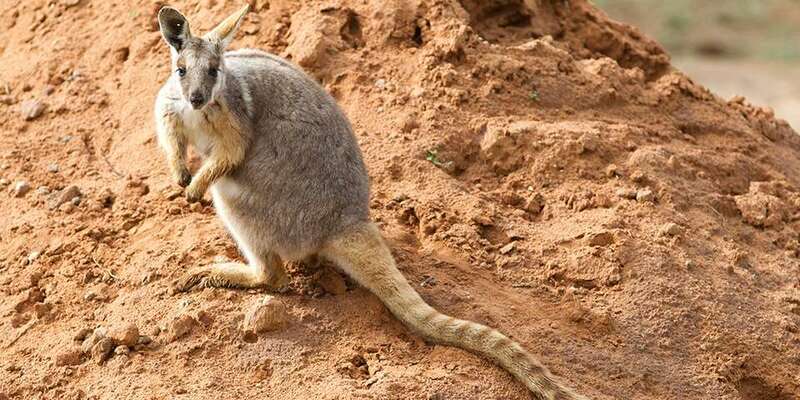 This in turn allows the critically endangered Brush-tailed Rock-wallaby to give birth to another joey approximately 30 days later increasing the amount of offspring one particular female can produce in a year. The program has assisted in building the population of an animal of which less than 60 individuals remain in the wild. Love wallabies? 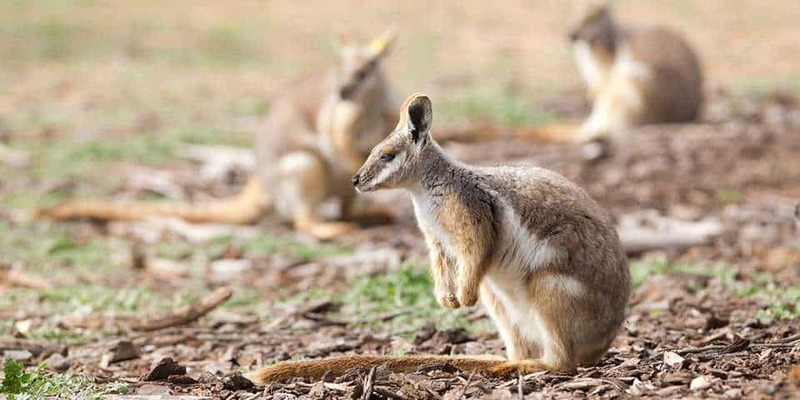 Join our mob and ensure Yellow-footed Rock-wallabies stay a hop ahead of extinction! 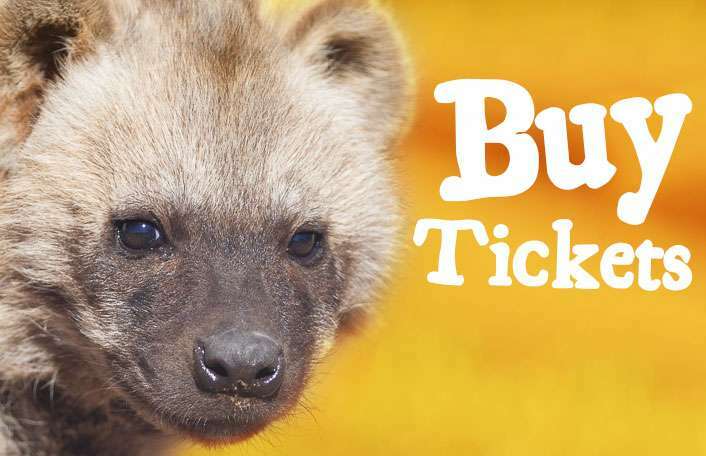 There are many ways you can help support these loveable creatures!